At a height of 165 meters, the Flyer only recently surrendered its position as the tallest ferris wheel in the world. 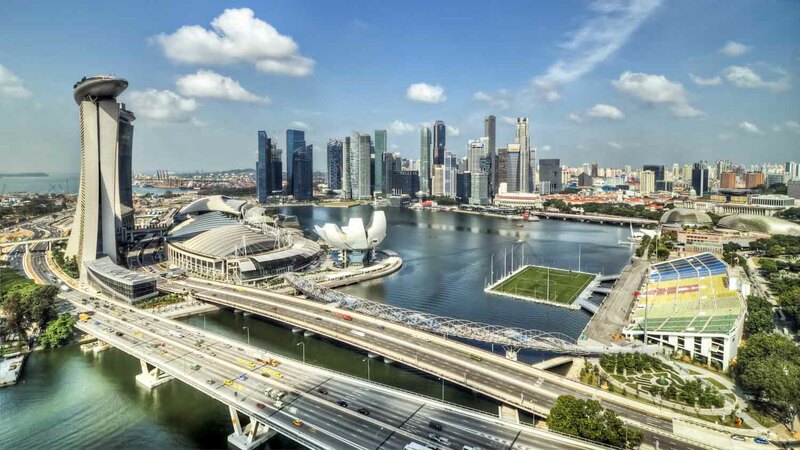 Nevertheless, the best views of Singapore perfectly sum up the rise of this triumphant modern metropolis! 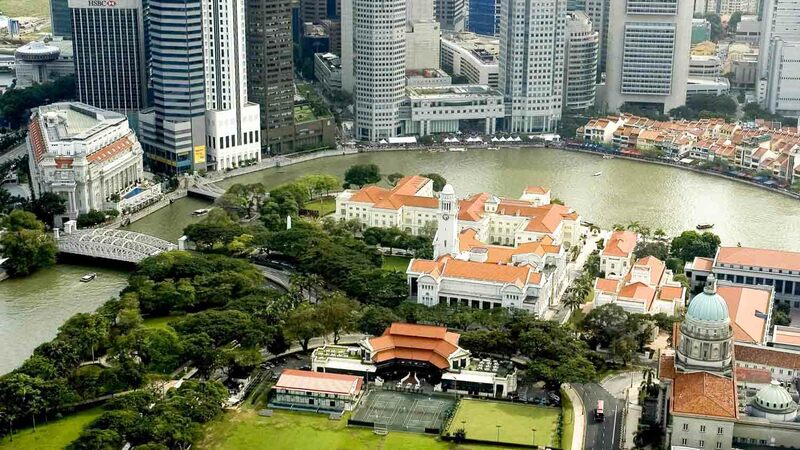 Singapore's importance as a colonial trading post is rendered in this beautiful old courthouse by the mouth of the river. It's now home to the Asian Civilizations Museum. Half fish, half lion, the Merlion fountain on the river's south bank originates in the legend of Sang Nila Utamathe – the prince who named the island "Singapura" (Lion City). 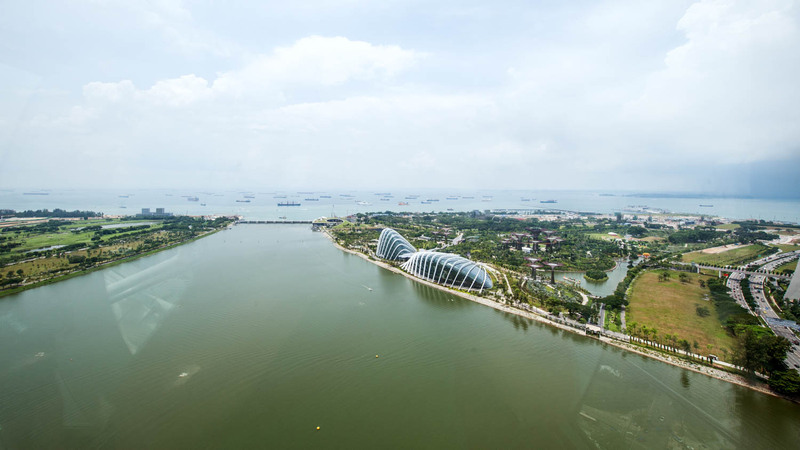 Though they appear as two huge fishing nets cast out into Marina Bay, these striking buildings actually house a world-leading concert hall and theater. 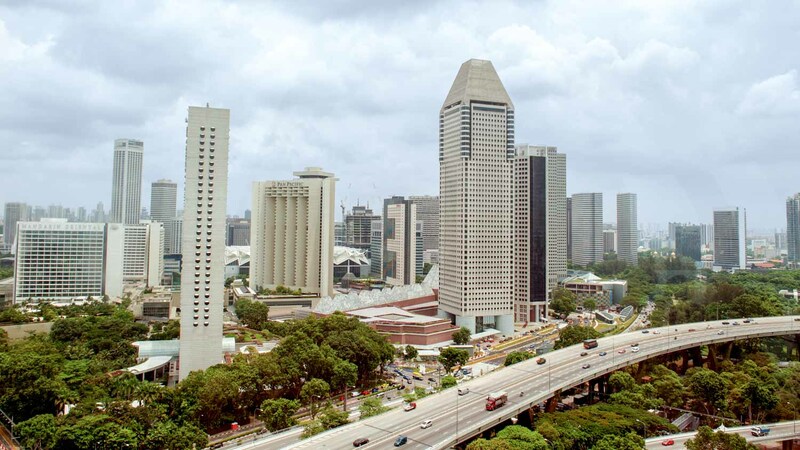 In 2008 Singapore integrated an F1 circuit into its urban roads. Although you and your rental car can't join in, on race days you can watch the action from the Flyer! That's right! 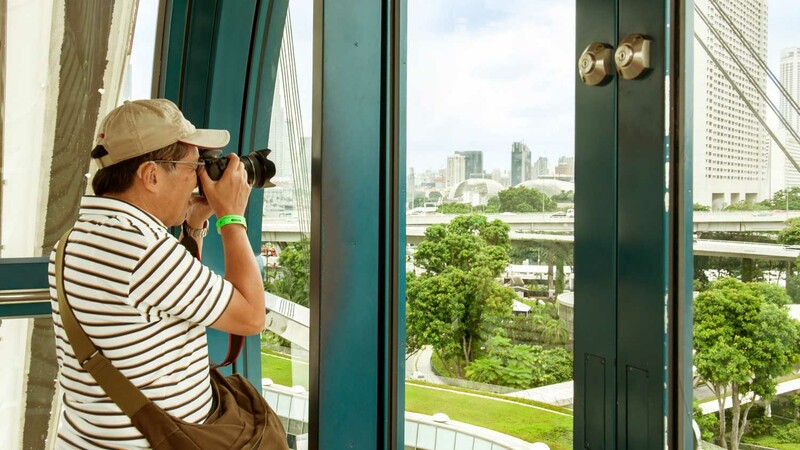 The Singapore Flyer is so high that on a clear day the panoramas extend well beyond the city-state's borders! The Singapore Flyer is open until 10pm, and Singapore is an incredible city to see at night! From sunset onwards the city is at its most striking, yet the Flyer gets considerably less busy, perhaps because the downside is not being able to see as far. Each rotation takes 30 minutes, although you should plan to spend at least an hour at the attraction, if not longer. Tickets can be bought on-site, but online discounts are available if you decide to book in advance. The Singapore Flyer has its own parking lot. It costs $1.50 per half-hour, but this is capped at $15 on weekdays. 8:30AM to 10:30PM. Last entry is at 10:15PM. An adult ticket is S$33. It will definitely help. A tour could be a worthwhile investment to get the best out of the trip! The MRT station Promenade (on the CC4 and Circle lines) is a five-minute walk from the Flyer. Alternatively, catch buses 106, 111, and 133 - get off at Temasek Avenue. *Going in the evening will give you great sunset views over the city. *Once on the Flyer, you can either sit or stand. Excellent when the time is about half a day. We took the Green and the Orange Route tours spaced by one hour, a total of three hours. We had only half a day to take a tour. For such short time, this was a great tour for me with my family.